I pull off my PCV breather tube to check how gunky it is... and the damn thing snaps. Now I have no choice but to embark upon the 6+ hour replacement job that I do not own the right tools for. I have to remove the intake manifold to get access. 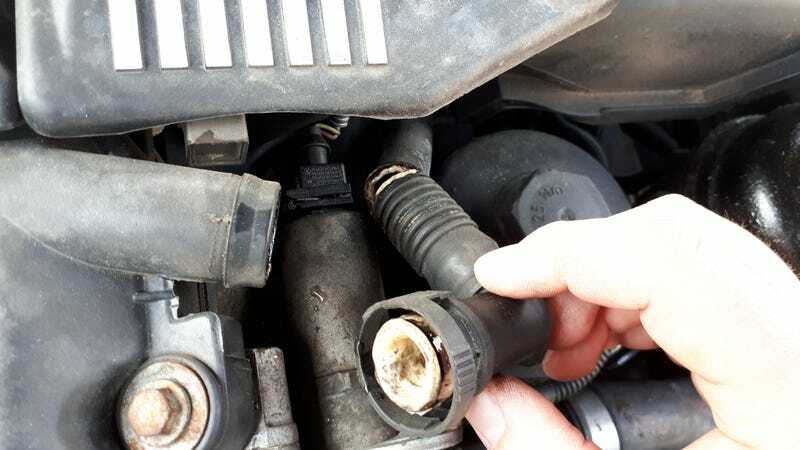 This being a modern car, there’s all sorts of mechanical and electrical gubbins that need to be removed from the manifold to free it from the car. Book value for a trained technician is like 4-5 hours. For me, it’ll likely be 2 days of work and I can’t get by without a car for that long.